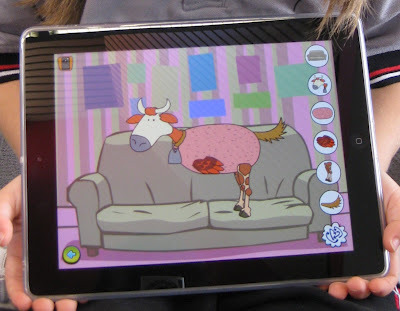 Animal Muddle is a free app available on the App Store. It was used with the juniors whereby they created their muddled animal. The students created a hybrid animal with different body parts for example, a tiger’s head on an elephant’s body. They enjoyed the creation process. In literacy, the students could use their muddled animal to write a lost poster or character fact file about their creation.